Members can subscribe to the journals listed below by calling Customer Service at 800-242-4363 or International 203-702-7660. Non-members can subscribe by clicking on the non-member subscription links below. 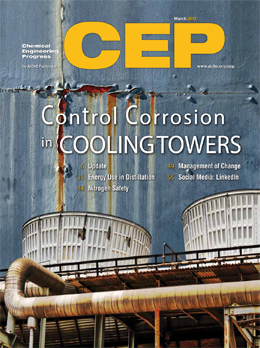 Reprint articles in CEP, Biotechnology Progress, AIChE Journal, Environmental Progress & Sustainable Energy, and Process Safety Progress are available from John Wiley & Sons. Reprints: CEP articles from 2001 to present are available to AIChE members on the AIChE website. Nonmembers interested in all years, members interested in articles prior to 2001, or for less than 100 hardcopies, please inquire with Linda Hall Library where AIChE papers are stored requests@lindahall.org or call 800-662-1545. For electronic reprints or bulk quantities of 100+ hardcopies, of articles later than 2001, please contact Karen Simpson at kares@aiche.org or call 646-495-1346.